How many women does it take to start an all-women travel agency and a women’s welfare network for women in distress, write tirelessly on social and environmental issues, win a bronze at the National Ice Hockey Championship, and keep training an ever-growing number of women to be professional trekking guides in the harsh terrain of Ladakh? Just one, if that woman happens to be Thinlas Chorol. 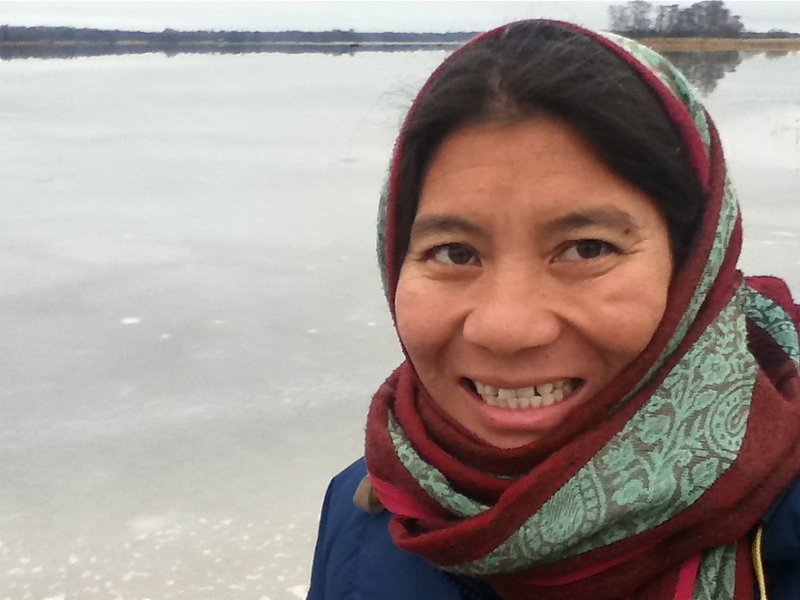 Back in 2009, she founded the Ladakhi Women’s Travel Company, which has the distinction of being Ladakh’s first travel agency completely owned and operated by women, and is known for its ecotourism. Her foray into the mountains began as a 5-year-old accompanying her father on long treks through the mountains with their goats and sheep. Having lost her mother when she was a baby, her father was all she had. Scared that ‘something might happen’ to him if he were to venture into the mountains alone, she went with him. Today as one of Ladakh’s best trekking guides, she looks back on that incomparable training fondly, as ‘the bliss of her childhood’. What was far from bliss was the assortment of obstacles on her way to becoming the pioneering and inspirational woman she is today. Many societal restrictions, taboos and narrow mindsets had to be fought for her to become a professional trekking guide at a time when a female trekking guide was unheard of. Despite her trekking competence, travel companies refused to hire her as a guide, solely on account of her being a woman. Whereas most of the men were (and still are) hired as trekking guides even without any professional training or knowledge of trekking routes or awareness of environmental impact. She was repeatedly told that a Ladakhi woman going into the mountains with a group of foreigners would be frowned upon by society. But she didn’t let the rejections and social taboos stop her. 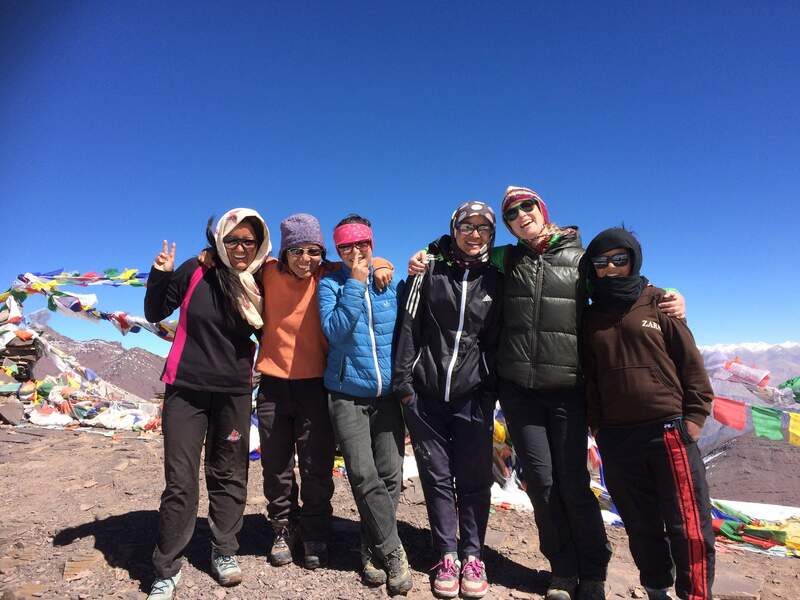 She had met quite a few female travellers who had been harrassed by their male trekking guides and so were keen on having a female trekking guide they could trust. With the encouragement she received at SECMOL (Students Education and Culture Movement of Ladakh, an organization that helps educate children from remote regions of Ladakh) and the support of her American English teacher, she went on to acquire some commendable professional qualifications – a mountaineering course from the Nehru Institute of Mountaineering (Uttarkashi) and a semester at National Outdoor Leadership School (Uttarakhand), where she picked up wilderness and leadership skills. She even worked as an instructional aide at the NOLS, and was the first Ladakhi to do so. Not one to sit back and take ‘no’ for an answer, she started the Ladakhi Womens Travel Company in 2009 at the age of 29. 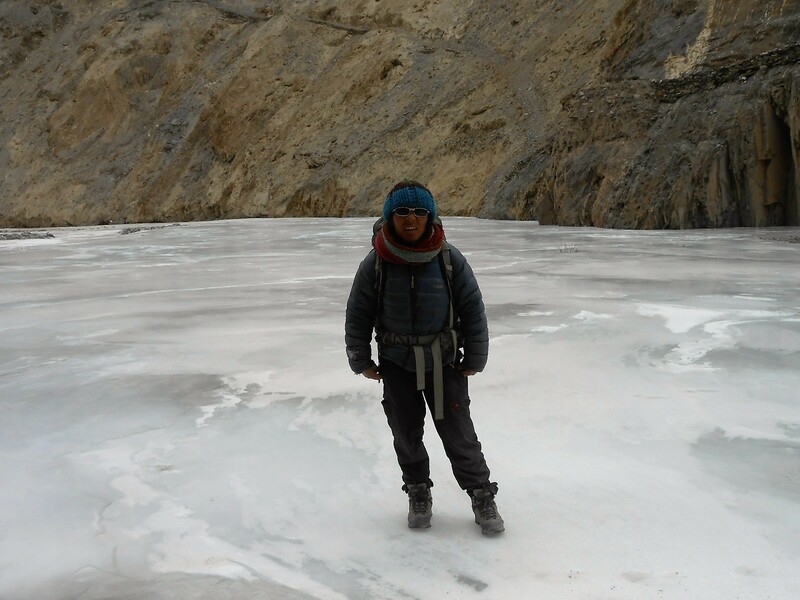 Ever since, many Ladakhi women have approached her to train them to be trekking guides and today the company has 8 guides, 4 trainees and 20 employees in all. It takes a minimum of one year with the company to become a trekking guide. Thinlas also co-founded the Ladakhi Women’s Welfare Network in 2013, which helps women report crimes and works towards their general welfare. Given their deep sense of connection with the land, responsible travel forms the essence of LWTC’s work. Having seen a lot of garbage dumped on the mountains by irresponsible campers and tourists, the women at LWTC ensure that the ‘Leave no trace’ rule is respected on their treks and environmental impact minimized. Treks involve staying at homestays run by rural women and learning from Ladakhis about their way of life. Clients are told to avoid plastic bottles and instead refill water bottles at homestays. Thinlas says that homestays being unprofitable for travel agencies, many of them don’t offer this option unless the client specifically insists on them. As their website states, homestays help rural women achieve the same status as their men who are out earning the family’s income. It also encourages people to remain in the villages instead of seeking jobs in cities. It is the most eco-friendly way to discover Ladakh as it puts minimal pressure on natural resources, unlike camping which requires ponies and donkeys that deprive the local wildlife of their share of the sparse grass on the mountains. The women of LWTC are also highly knowledgeable of the local culture, history, flora and fauna and are glad to share that knowledge with the clients. A trek with them can give you an experience of the real Ladakh more than any typical ‘touristy’ experience could. The main challenge for LWTC is the seasonal nature of their work, with the season being barely 4 months from June to September. The income made in these few months is what they have to stretch out for the rest of the year. In the winter, LWTC offers Snow Leopard Treks but this being the off-season, there aren’t many takers. They also look forward to more people volunteering to teach English to the Ladakhi women training with them. In empowering herself, Thinlas has empowered a host of other women as well, and says ‘women should think for themselves and not depend on their families. If they believe in themselves, they can achieve what they want’. Her vision for LWTC is to see her trekking guides spread their wings across the globe with their trekking expertise, and in turn inspire many others to actualize their dreams. Account name: Ladakh´s Women Welfare Network.